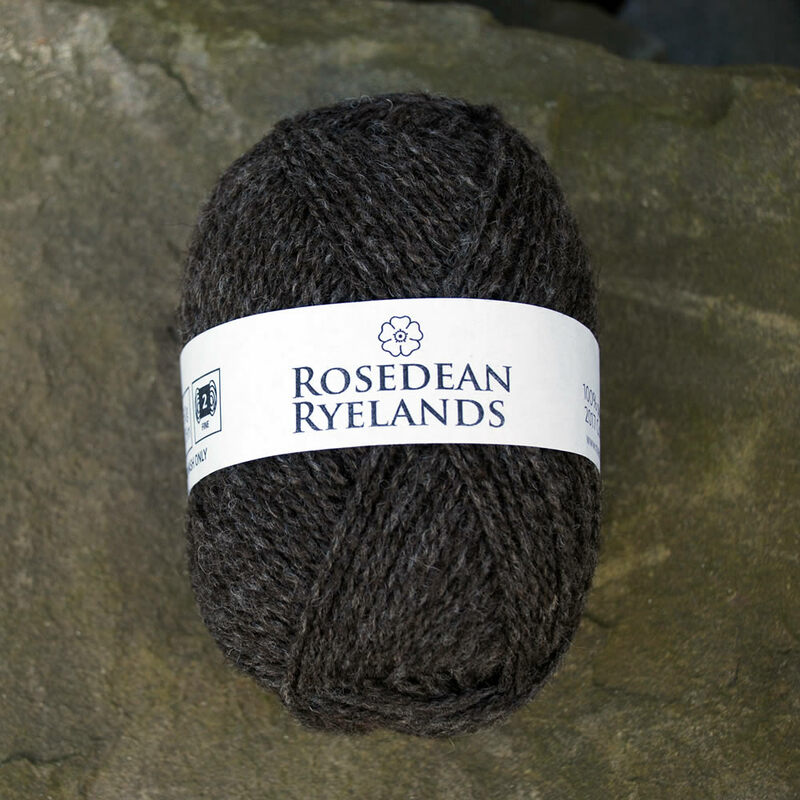 Based in Carnoustie, Angus, the Rosedean flock of pedigree Coloured Ryelands was established in 2007 with the purchase of three ewe lambs from the Sherrifyards flock. Two further ewe lambs were purchased from the same flock in 2009 and two ewe lambs by Lightwater Hunky from the Grindon flock in 2010. Since then the flock has been closed to females and all flock replacements are homebred. The breeding flock is maintained at around fifteen ewes. We purchase a new tup every two years. Our first tup was the 2009 born white Ryeland ram, Fetternear Lionheart (M11335). Known as Leo, he was bred by Raymond Aitken and he stood third in the breed’s shearling ram class at the Royal Highland Show in June 2010 and was Champion Ryeland at Thainstone in the following September. We also have a few daughters of Garioch Highlander (MC0320), a coloured ram bred by Raymond Aitken. Garioch’s sire was a white Ryeland, Paithnick Tam M10008, which was Champion Ryeland at the Royal Highland Show in 2005. Our second tup was the 2010 Coloured Ryeland, Lingah Nemo (MC0561). Nemo was shown once by us in 2012, when he won the Coloured Ryeland tup class at the Scottish Smallholder and Grower Festival and stood third in the Coloured Ryeland championship. Nemo’s pedigree includes Airedale, Cagedale and Catherton bloodlines. The tup used in Autumn 2014 and Autumn 2015 was High Edge Taylor (MC0889), from Debbie Bostock’s Derbyshire flock. Taylor has Roston Polo, Dolwen Kasper and Broomwell Jonny Depp in his pedigree. In 2016, we sold all our breeding stock apart from one older ewe, called Niamh, but retained our 15 ewe lambs born in that year. We purchased Cockairney Urquhart from Archie and Fiona Hipwell in the autumn of the same year and he is the sire of the lambs due to be born Spring 2018. Fiona has bred for excellent fleece and the fleece from one of Urquhart’s 2015 crop of lambs won the champion ticket at the Royal Highland Show in 2016. Our sheep are not shown but we aim to produce ewes that are prolific, good mothers, healthy and docile. In 2015, our fifteen ewes weaned thirty-one lambs, with eight tup lambs killing out at around 6 months of age at an average of 26kg deadweight, off grass. We’re expecting eighteen lambs from our eleven ewes, which are due to start lambing on 1st April 2018.